'Tis the season for testing, so WIDA has been on my mind quite a bit lately. Roughly half of the country makes up the WIDA Consortium and follows and "Can Do" philosophy about English language learners. 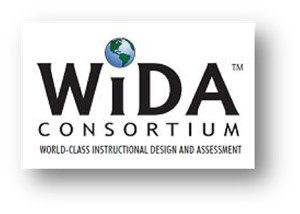 In order to help teachers become more effective with their ELLs, the WIDA Consortium has created an online professional development module entitled Engaging English Language Learners: Teaching to Student Strengths. This module covers a variety of topics related to academic language and is free to educators with a WIDA account.